A 25-year-old student has discovered a way to destroy antibiotic-resistant bacteria without pummeling them with more antibiotics. Shu Lam successfully destroyed superbugs in lab tests using a star-shaped polymer that literally rips the cells to shreds. This breakthrough could signal a complete overhaul in how the medical community approaches these deadly bacteria. Currently, antibiotic-resistant bacteria, including Methicillin-resistant Staphylococcus aureus (MRSA), kill 700,000 people per year. Scientists are worried that number could skyrocket to 10 million by the year 2050, so they’re searching for ways to successful intervene before more damage is done. University of Melbourne student Shu Lam believes she may have found a solution. Her study, published in Nature Microbiology, details the mechanism of SNAPPs, or structurally nanoengineered antimicrobial peptide polymers. SNAPPs work by directly targeting, attacking, and destabilizing the cell membranes of superbugs. They are large enough that they do not affect healthy cells, which are affected by conventional approaches that “poison” the bacteria. So far, Lam has successfully tested SNAPPs on six different strains of superbugs in a laboratory setting, and one in live mice. In each experiment, the nasty bacteria were all killed and did not develop resistance to the polymers in future generations. The development is still in its early phases, yet Lam and her team believe they are onto something big. Actually, she is a PhD student in The University of Melbourne, not quiet a college student, actually. 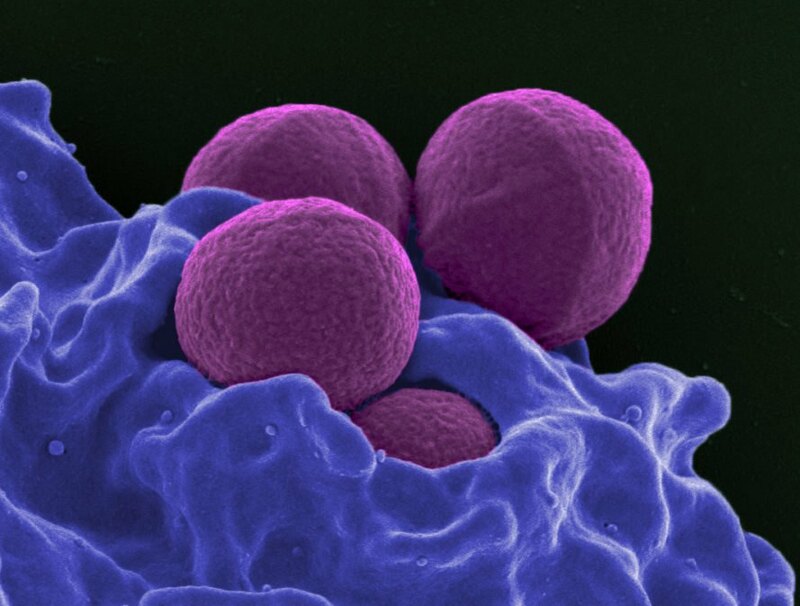 I have endured the MRSA twice! I worked on a medical residential facility, in housekeeping. I contracted the infection, both times, through direct contact to live cases! I then endured horrible flesh eating abscesses and excruciating pain! I was very Blessed that I did not have a negative reaction to Bactrim, or Vancomycin! However, I was prescribed, orally, 3,200mg of Bactrim, daily! It's really scary and I just recently was prescribed Bactrim for a bacterial infection and had a horrible reaction! I don't ever want to experience this, horrible, disease ever again! I recently quit my job of 7.5 years, in fear! I would gladly become a " human" guinea pig for Shu Lam, should I ever become afflicted with this scary, sneaky, flesh eating, monster infection, ever again! God Bless her and her miraculous, scientific discovery! Brilliant young woman, indeed! A college student has developed a defense against antibiotic-resistant bacteria that literally rips them to shreds. Antibiotic-resistant bacteria, like MRSA, may have met its match with student Shu Lam's innovative polymers.